When it comes to hockey stats, PuckPedia has you covered – from basic NHL player stats and team stats supplied by Eliteprospects.com to advanced stats from Offside Review. In hockey, basic stats are mainstream stats that you often read about or hear in articles or broadcasts. These include Goals (G), Assists (A), Points (P), Shots, Shooting Percentage, Saves, Save Percentage, Goals Against Average (GAA), Blocks, Penalties in Minutes (PIM), Time on Ice (TOI), and Plus Minus (+/-). Most of these stats have been recorded by the NHL for many years, and some of the advanced stats are based on or derived from the basic stats. For instance, advanced stats, like Corsi, are based on shots, blocked shots, and missed shots. 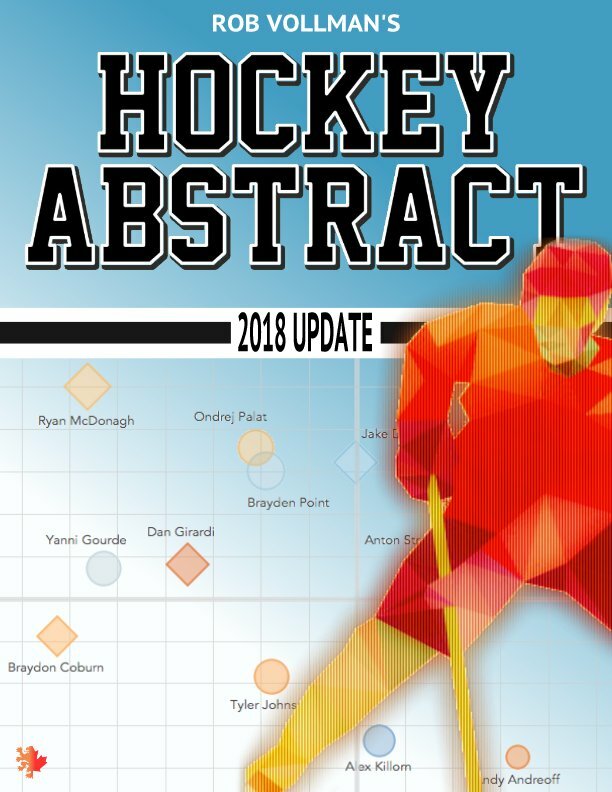 Check out the latest Book, The Hockey Abstract - 2018 Update, written by one of the original Hockey Advanced Stats Experts, Rob Vollman. This book is great for both a new fan of hockey analytics, looking to get a taste of what it's all about while getting the low-down on all 31 teams, and for those who already have one or more of the books in the Hockey Abstract series, and want to keep enjoying them by getting the latest data. Advanced hockey stats typically rely on raw data from play-by-plays, event summaries, and game summaries. The future of advanced stats is through player and puck tracking. If you're looking for NHL player stats by team, you can easily access the up-to-date information you need, right here at PuckPedia, following each game. Advanced statistics play an important role in predicting the outcome of future hockey games. Although it's taken far too long for hockey to embrace advanced statistics, most teams are now tracking and using this kind of information. What used to be a tedious and time-consuming task is now much faster thanks to analytics. Because of technology, we can now obtain stats instantly, by game, period, league, and category. Here, at PuckPedia, we provide the latest information on NHL hockey stats from some of the most reliable sources in hockey. Advanced statistics have been instrumental in providing hockey teams with vital information behind the final score and players’ goals and assists. As hockey stats and the game have evolved, more teams, analysts, and enthusiasts are seeing the value of advanced statistics. One of the most common advanced statistics for hockey is Corsi. Also called Shot Attempts (SAT) by the NHL, it's an improved form of +/- which measures shot attempts, including shots on goal, blocks, and misses, and it can be expressed in either +/- or percentage format. Originally used to track goalie workload by a coach named Jim Corsi, this stat is now being used to refer to puck possession, indicating the team that controlled the puck for a longer period of time. Corsi For Percentage (CF%) is used to evaluate a player’s team’s puck possession on the ice. A typical hockey player has a CF% between 45% and 55%. CF% is calculated as the sum of shots on goal, missed shots, and blocked shots over the shots against, missed shots against and blocked shots against at equal strength. Basically, CF% is the +/- rating for players, but instead of goals, shots taken and attempted are counted. +/- – Plus/Minus The difference between Goals For and Goals Against while a player is on the ice, excluding powerplay Goals For. Shot attempts made on the opposition’s goal (this stat includes goals, missed shots, and blocked shots). Shot attempts made on goal by the opposing team (this stat includes goals, missed shots, and blocked shots). A Ratio of Corsi For and Corsi Against. Corsi For%(on ice) - Corsi For%(off ice). Shows a players’ corsi % relative to their teammates. This is a ratio of the goals scored and goals against when a player is on the ice in 5 on 5 play. The PuckPedia Player Rating was developed by Chace McCallum (@CMHockey66) using Advanced Stats from Offside Review. It is a predictive measure which estimates a player's impact on the game by measuring contributions including: Even Strength Offense & Defense, Power-Play Offense, Penalty Differential and Faceoff success. Rating is per 82 Games. PPR will be refined & have future iterations. Check back for updated detailed definition. 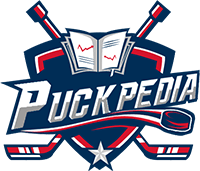 When you want stats on teams or players, PuckPedia is the only source you need to remember. Bookmark this page for easy access to the latest stats and updates, whether you're looking for basic or advanced stats throughout the regular season or are interested in NHL playoff player stats or team stats. We are your source for accurate, up-to-date information on your favorite teams and players.